A guardianship allows a court-appointed individual to take legal responsibility for making decisions on behalf of a person who cannot make those decisions independently. In Ohio, a family can choose a standby guardianship to take effect under specific circumstances, such as a parent's illness or death, or a limited guardianship to cover only certain aspects of raising a minor. 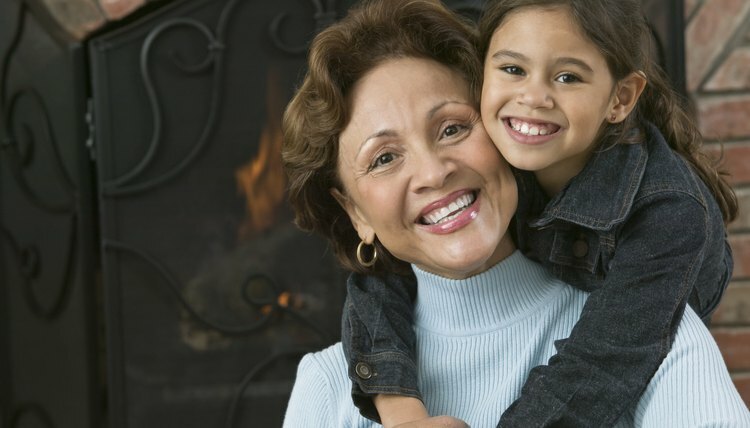 Through a minor guardianship, you can formally establish physical custody of a grandchild who lives in your home as well as gain rights to make decisions related to the child's upbringing. A guardian can usually make educational, financial, legal and medical decisions on the child's behalf. However, a minor guardianship does not require a court-ordered termination of the parents' rights when you take responsibility of the child. To obtain legal guardianship of a grandchild, you must file an application for guardianship through an Ohio probate court. Your application should specify the type of guardianship requested. In addition, you must generally provide information regarding the grandchild and your relationship to them. If the grandchild's parents have custody rights Ohio courts have not terminated, you must include the parents' names and contact information, if known. You must also disclose specific types of criminal convictions. Under state law, a minor guardianship generally ends when the child reaches 18, the age of majority in Ohio. If the you believe your grandchild requires an additional period of guardianship, you will likely need to start further proceedings in probate court. If an adult grandchild has a physical or mental disability, you may be able to get a legal guardianship to care for an incompetent adult. Legal guardianship of an adult may continue indefinitely until the probate court ends the arrangement. Ohio state laws provide alternatives to legal guardianship if you need to establish specific rights while raising a grandchild. For example, you might need to enroll a grandchild in school or speak to the child's doctor. An Ohio family can use a caretaker power of attorney or caretaker authorization affidavit to establish the rights of a caregiver without going through probate court. The power of attorney requires a written agreement signed by the grandchild's parent, whereas the authorization affidavit requires your signature, due to the parent's absence. Both types of documents can establish your right to physical custody of the grandchild while also allowing you to assume responsibility for the child's educational and medical decisions. However, neither document takes legal custody rights away from the grandchild's parents. A grandparent or another caregiver who has taken responsibility for raising a child may seek a formal arrangement from an Ohio court. State laws permit a caregiver to ask the court for legal guardianship or legal custody of a child. Although a guardianship includes many of the same legal rights as the rights held by a custodial parent, guardianship and custody are distinctly different arrangements.